The last 10 to 15 years have seen an enormous evolution in payment systems. New technologies that were seen as mere science-fiction gimmicks just a few decades ago are now widespread and used on a daily basis by millions. For instance, up until the early 2000s, mobile phones were awkward, cumbersome devices which could only be used to make phone calls and write short text messages. Also, the Internet, although widespread, was slow and many parts of the World remained unconnected. Nowadays, cutting edge smartphones are available for almost every consumer, Internet connection speeds are amazing and new payment systems evolved, thus helping us create a better consumer experience and business environment. Business owners find it easier than ever to make payments on the go, make international transactions at a click of a button and connect their bank accounts to multiple mobile terminals. Although not entirely new, electronic cards are now completely different when compared to what you could find decades ago. You can access your bank account in real time without going to your local bank, you can make payments, check your financial situation (both credit and debit accounts) and you can also find information about your account. Made out of hard plastic, all electronic cards have a magnetic band which allows any ATM (automated teller machine) to read your card. There are three basic types of electronic cards: the credit card, the debit card, and the prepaid card. They have become extremely popular electronic payment systems because you only have to swap them across a small device in order to make a payment and receive a confirmation message. This whole procedure is done in seconds and doesn’t incur any additional costs. Internet transactions have appeared in the mid-1990s but only became widespread during the early 2000s. There are literally hundreds of online payment systems around. They are usually websites (essentially online payment processors) that allow you to make transactions across multiple platforms. You can transfer funds from separate bank accounts, online accounts, you can use multiple cards or you can make direct payments to businesses and vendors. Some of the most popular online payment processors are PayPal, Skrill, and Amazon Payments. While most internet payment systems use physical national currencies, there are some processors, like BIPS and BitPay, who accept only digital currency (Bitcoin). Mobile phones can be used as mobile payment processors and will allow you to make certain transactions on different platforms. Companies, such as Fattmerchant, offer this type of service. Although they are often limited to a certain amount, you will be able to pay your bills, buy basic goods and services and make small transactions to other mobile payment processors. Depending on your phone company and bank account, there are multiple apps that will help you gain access to this exciting new payment system. SMS-based transactional payments – consumers send a SMS message or a shortcode to a vendor and their phone bill is charged. Also, this payment system can be used with an online wallet. Direct Mobile Billing – consumers use a billing option in a vendor’s checkout system and will be guided through a two-factor authentication process. The mobile account is charged for the purchase. 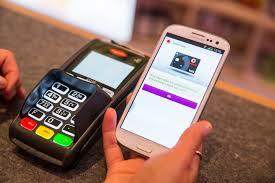 Contactless Near Field Communication payments – this payment method is used for physical products and goods. Consumers wave their smartphone near a reading module and the transaction is made without any additional authentication. The purchase is then deducted from a prepaid account or from the bank account. Flaviu Mircea, a freelance writer and business owner enjoys with his readers his personal tips and experiences into running a company. If you would like to learn more about Flaviu, you can check out his google+ profile.